The head of the IDF’s Southern Command declared Wednesday that terror groups in the Gaza Strip were “very deeply deterred” by the air force’s aerial bombardment against dozens of targets in the coastal enclave on Tuesday afternoon and pre-dawn Wednesday. 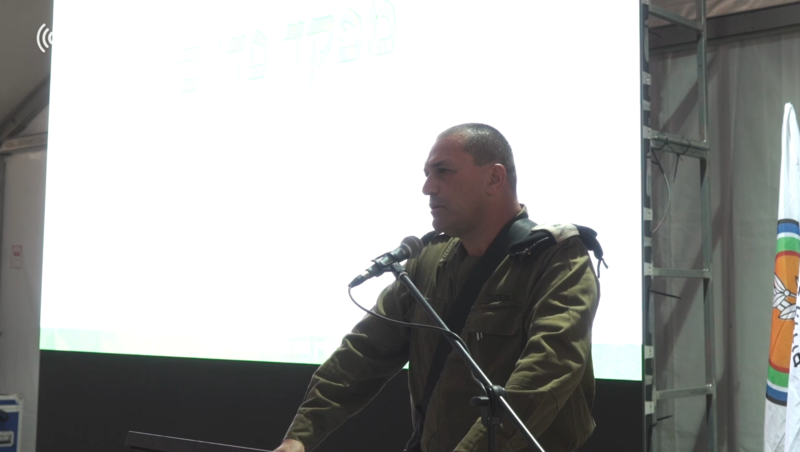 “I think Hamas and the other terror groups in the Gaza Strip are very deeply deterred, and there is a lack of will and desire to reach a situation of another full-scale campaign,” Maj. Gen. Eyal Zamir told officers on Wednesday. 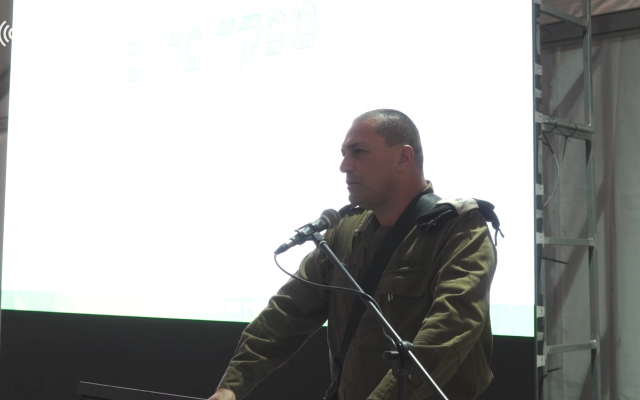 Zamir’s comments were released by the military less than a day into an apparent ceasefire between Israel and Palestinian terror groups in the Strip, after the largest exchange of fire over Gaza since the 2014 war. “We struck many valuable targets, important targets that we’ve waited a long time for an opportunity [to strike them]. I think at this point, there’s a significant achievement for us,” Zamir said. 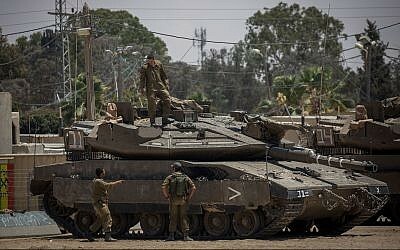 Critics of the army’s actions on Tuesday and Wednesday noted that the military did not strike the terror cells firing the rockets and mortar shells at Israel. The Hamas-run Gaza health ministry did not report on any casualties in the IDF’s strikes. Hamas has also been hailing its “achievement” in forcing Israelis in the south to spend a night in bomb shelters. Israel repeatedly denied that it had reached an agreement, but a senior defense official, speaking on condition of anonymity, indicated to reporters that an understanding had been reached under which Israel would not conduct additional strikes in Gaza so long as no more rockets or mortar shells were fired, but would act forcefully if they were. “If the launches are renewed, the attacks against Hamas will be intensified,” the official said. The army said it determined that on Tuesday and Wednesday over 100 rockets and mortar shells were fired from the Gaza Strip and were on a trajectory to hit Israel. A large number of the projectiles launched from Gaza failed to clear the border and thus were not included in the military’s figure. According to the military, among the targets struck by the air force were Hamas drone facilities, naval bases, caches of shoulder-fired SA-7 missiles and a rocket manufacturing plant. 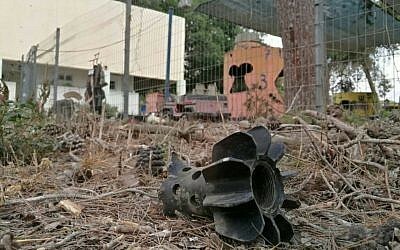 In addition, the army said, a Palestinian Islamic Jihad weapons depot, containing locally produced rockets, was also destroyed in southern Gaza. 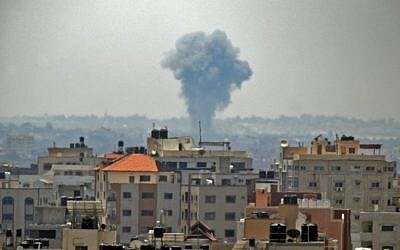 Though a number of terror groups in the Gaza Strip participated in the attacks against communities in southern Israel, the military says it ultimately holds the Islamist Hamas organization responsible, as it has controlled the coastal enclave since taking it over in a violent coup in 2007.